To learn about the historic significance of the Prince of Wales Armouries please click here. It’s been a busy few weeks for friends of heritage in the City of Lacombe. On Friday October 14th, I led a workshop on values-based management for members of the city’s Heritage Steering Committee. 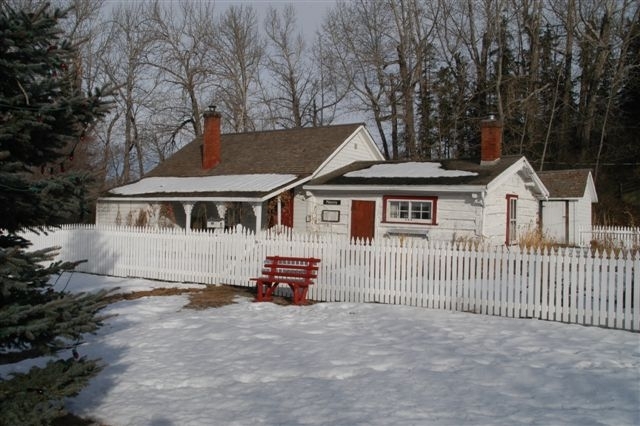 The City of Lacombe, with the advice of the committee, will soon begin evaluating several historic places for heritage value. David Holdsworth, a Heritage Planner with the City of Edmonton, spoke about Edmonton’s municipal heritage conservation program. 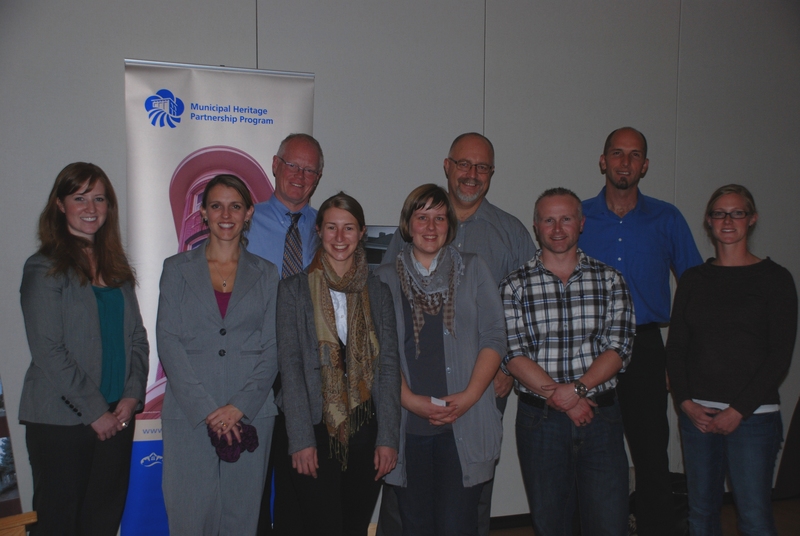 The City of Lacombe began working with MHPP in 2008. Since that time, the entire community has been surveyed and the heritage steering committee has identified well over 100 places that deserve further study. Since 2009, Lacombe has been steadily evaluating these sites to determine which have sufficient value to the community to warrant Municipal Historic Resource designation. Not content to simply evaluate historic places, the “Evening of Heritage” marks the first step in Lacombe’s efforts to develop municipal polices to protect and conserve locally significant historic places. The event was a great way to introduce the community to the idea of heritage conservation. Have you ever been curious about Rutherford House?? What is the history behind this provincial historic site? Who was Rutherford and what did this man do that was so important? How did this house become protected and why? What about the architecture of the house? Is it Edwardian, Jacobethan, or Queen Anne Revival? In celebration of the 100th anniversary of Rutherford House, we have asked our colleagues to help us answer these questions and more. 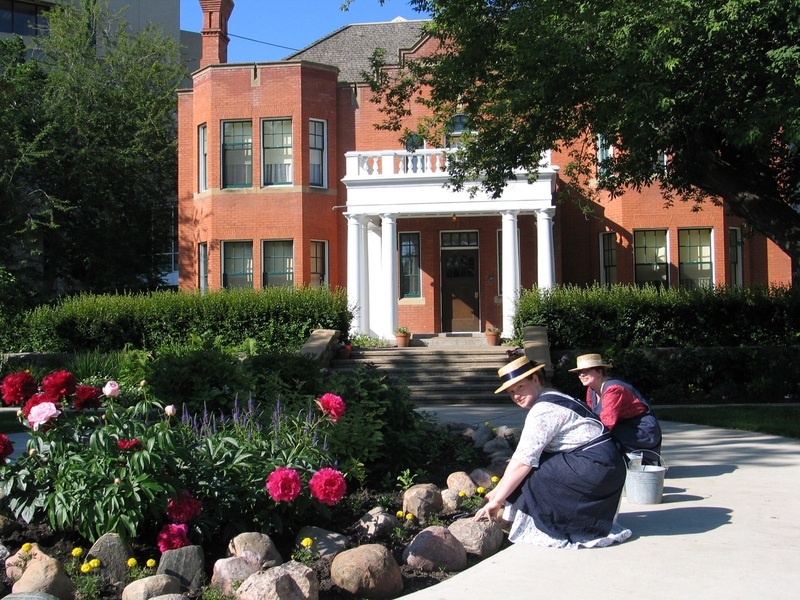 Join us in Edmonton for a mini lecture series at Rutherford House Provincial Historic Site, take a tour of the house and enjoy some tea and fresh baked cookies. PROGRAM FEE: $5.00 per person / includes lecture, tour of the house museum, along with tea and home baked cookies. For additional details, please click here: Rutherford House Mini Lecture Series, 2011. 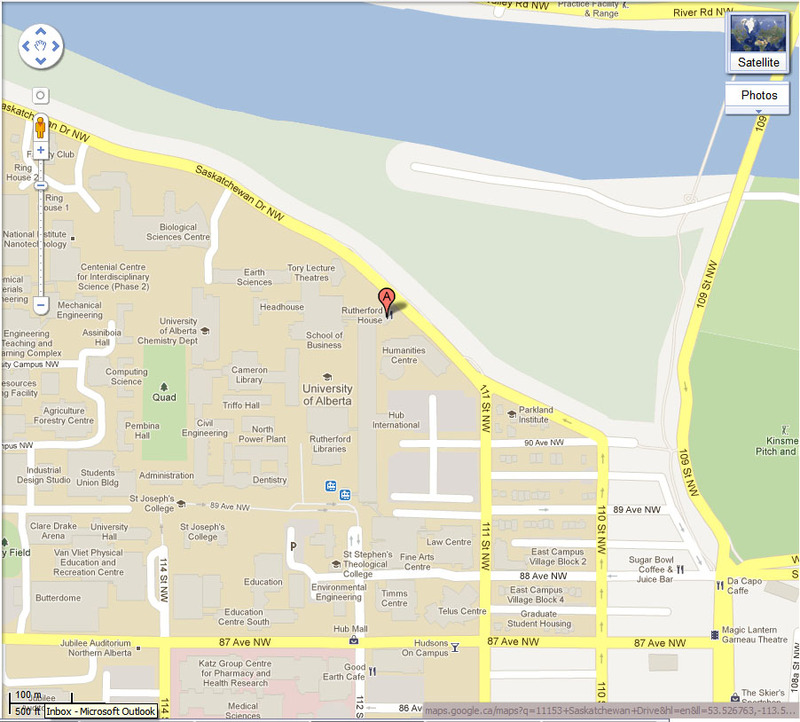 For location information, please click on the attached map. Pre-registration required by calling (780)427-3995 or (780)427-0357. High River Heritage Work off to a Great Start! Back in August, we announced on this blog that the “cool little town” of High River was one of four communities to be approved for funding from the Municipal Heritage Partnership Program. Over the next year High River will be completing a Municipal Heritage Inventory project. Shortly after the funding announcement, I met with Town staff in High River, and since then the community’s heritage planning efforts have gotten off to an excellent start. Over the Summer, a key staff appointment was made by the Town. Vidya John, a new member of the Planning and Development Team, and High River’s new Heritage and Cultural Planner, will lead and guide the Town’s Heritage initiatives. Vidya brings with her a background both in the arts, as well as in urban planning – a stellar combination to help a community create a future for its historic places. One of the key assets to any community in carrying out a project like a Municipal Heritage Survey or Inventory is a Heritage Advisory Body, or “H.A.B,” for short. This group, which may otherwise be known as a “Committee,” “Board,” “Commission,” “Group,” or “Team,” is formally appointed by a municipal council, and provides strategic advice to Council on heritage-related matters. The Sheppard/Maccoy House, located in the Town of High River, is a designated Municipal Historic Resource. On September 26th, High River’s Town Council approved the creation of a Heritage Advisory Board, which will provide community-based advice on the Inventory project. Soon the HAB members will be selected and High River’s Heritage conservation work will be off to a great start with their Heritage Inventory project. Note: The Alberta Register of Historic Places lists both Provincial Historic Resources and Municipal Historic Resources located in High River. Click here to read about these sites. When the Calgary & Edmonton Railway arrived at the south bank of the North Saskatchewan River in 1891, the C & E immediately subdivided a townsite which it named South Edmonton. 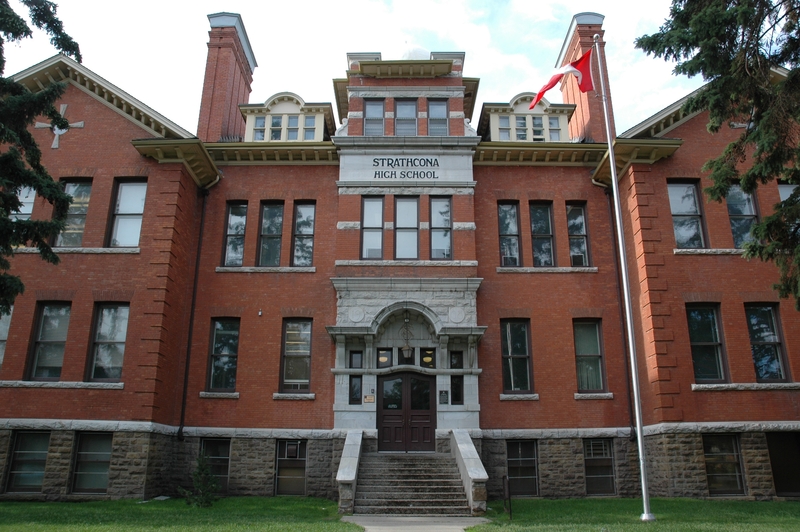 Being at the end of steel, the community steadily grew throughout the decade until, in 1899, it was incorporated as the Town of Strathcona with a population exceeding 1,000. As with Edmonton to the north, Strathcona grew rapidly in the wake of the Klondike gold rush, and, in 1907, it was incorporated as a city with an estimated population of 3,500. Edmonton, however, was destined to grow at an even greater pace when the Canadian Northern and Grand Trunk Pacific Railways arrived there in 1905 and 1908 respectively, giving this city a direct rail link to eastern Canada. With most major industries concentrating their operations in Edmonton, Strathcona became more of a residential district, a phenomenon encouraged by the decision of the provincial government, in 1908, to locate a provincial university just to the west of this city. From this point on, Strathcona would be billed as the University City. In the spring of 1908, the buildings of the new University of Alberta had yet to be designed let alone constructed. There were, however, a growing number of high school graduates who wanted to attend university right away. As a result, the University’s Board of Governors approached the Strathcona Public School Board for the use of a portion of a new high school which was then nearing completion on Lumsden (84th) Avenue and Duggan (105th) Street. The new 125’ x 77’ school had been designed by the architectural firm of Johnson & Lines to become the largest and most sophisticated high school in Alberta. It was being built by the firm of Thomas Richards at what would turn out to be a cost of about $100,000. This was on the site of the earlier Duggan Street School, with additional land acquired by the School Board to the west to accommodate the larger facility. Is it a historic place, resource or site? What’s the difference? Historic Place is the generic term used throughout Canada to reference “a structure, building, group of buildings, district, landscape, archaeological site or other place in Canada that has been formally recognized for its heritage value.” Each province and territory has separate legislation regulating the identification, evaluation and management of historic places. Therefore, each province uses a different term to describe a designated or protected historic place. For example, in Manitoba they are called Heritage Sites and in Saskatchewan, Heritage Properties. 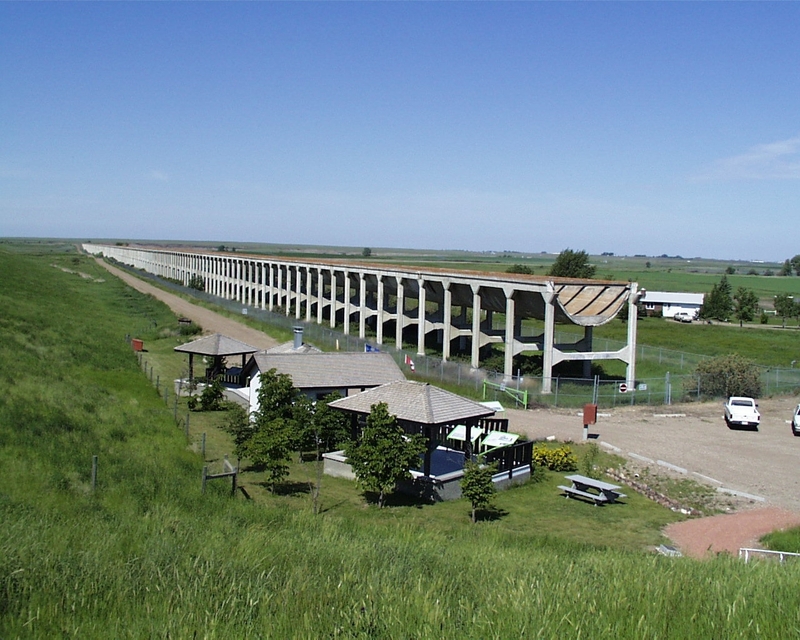 Brooks Aqueduct is a historic place designated as a Provincial Historic Resource and is operated as a historic site. Alberta’s Historical Resources Act uses the term Historic Resource. A Historic Resource is defined as a historic place valued for “its palaeontological, archaeological, prehistoric, historic, cultural, natural, scientific or esthetic interest”. The Government of Alberta may designate a historic resource as a Provincial Historic Resource and a municipality may designate a historic resource as a Municipal Historic Resource. Designated historic resources may not be repaired, altered or destroyed without written approval from the designating authority. 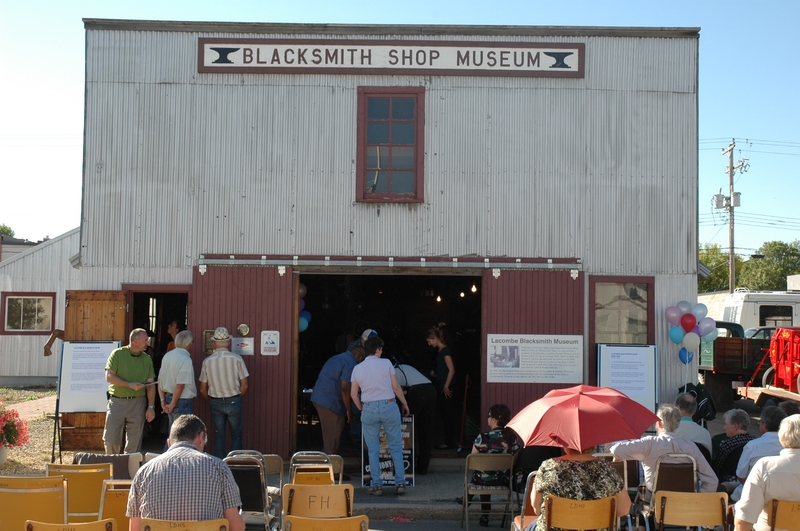 A Historic Site is a historic resource owned or leased by the Government of Alberta and managed by the Historic Sites and Museums Branch of Culture and Community Spirit. These sites are interpreted through public programming, signage and exhibits. Stephansson House and Brooks Aqueduct are examples of historic sites. So, if you ever find yourself talking about an old place ask: “What do I really mean? Has it been formally recognized by the Government of Alberta or a municipality?” Perhaps you are talking about a formally recognized historic resource.